Reno location Clinic Director, Dr. Jack J. Nolle enjoys teaching, learning, and sharing with patients, peers, and the public his knowledge of health and chiropractic. Raised in Reno, NV, Dr. Jack attended the University of Nevada and then proudly served our country in the United States Navy for eight honorable years. During a stretch at sea lasting 91 days during Desert Storm and Desert Shield, Dr. Jack had a lot of time to think, and spent countless hours contemplating his future. “All I knew was that I had a strong desire to serve. I wanted to have an impact on the planet, I wanted to make a difference”, he remembers. Dr. Jack sought help from military doctors, but was told they couldn’t do anything for him other than prescribe painkillers, which weren’t effective. After a month of agony, a Navy buddy recommended that he see a chiropractor…and the rest is history. The idea of becoming a chiropractor himself began to haunt his every waking hour: to be able to serve his community and the world through this incredible healing art was the dream he wanted to follow. Shortly thereafter, Dr. Jack began to attend night classes through the Navy to complete his pre-requisites before matriculating to Life West College of Chiropractic in the Bay area. “Other than the obvious…that chiropractic is a natural and effective way for people to experience optimum health…I’m also attracted to it because it has no negative impact on our environment”, recounts Dr. Jack. Dr. Jack feels that many people simply don’t understand or realize what chiropractic has to offer and its potential benefits. “Most people have pre-conceived notions of chiropractic…it’s pigeon-holed as a remedy for neck and back pain, when there’s so much more to it. Unfortunately, standard medicine tends to marginalize its benefits and negate its true message. On the bright side, strong public demand has kept this wonderful profession around for over a hundred years,” he smiles. 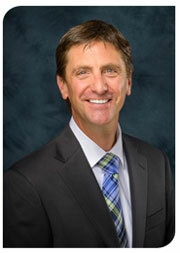 Dr. Jack is married with two sons and is completely focused on their health and well-being. They all enjoy doing things as a family unit, and spend time in the outdoors camping, hiking and skiing. Dr. Jack also continues to learn anything that he can to further his skills, taking courses and making ongoing education a strong focus. Find out how Dr. Jack can be of service to you and YOUR family. Call our Reno office today at (775) 284-3333!